Don Mills Builders specializes in home additions including room additions and second story additions. The new square footage adds value to your home. If the home addition includes a kitchen and/or bathroom, the value increases significantly. We will design to your budget, making sure you are getting exactly what you expect. Prior to construction of your home addition we will meet to provide you with a detailed schedule, along with your material selections timeline and our construction timeline. We will explain each phase of your home addition construction before it takes place. We will take great care in protecting your home from the elements as well as from dust and debris created during the remodeling process. 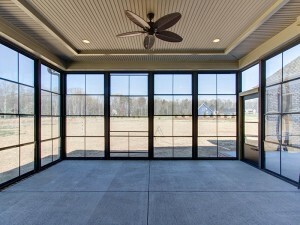 If you are considering a home addition, a room addition, or a story addition in Greensboro, Burlington, Winston-Salem or anywhere in between, Don Mills Builders, Greensboro home builder, is your choice. Contact us at (336) 362-1777 for more information on home additions.